In recent times mainstream advertising has shied away from gender targeting and tended towards being unisex. Why? For the simple reason that by gender targeting, – excluding one gender entirely, you effectively reduce your potential audience by half. Typically there is no reason to do so and it might also be considered politically incorrect to do so. Here, thoughts of sexist, or racist politically incorrect advertisements of the past spring to mind. That being said, Gender targeting can have a big effect, or at the very least cut costs. Consider that by being non-exclusive to gender, marketing campaigns are often less effective as they potentially could be. In 2003 a fascinating literature review was carried out by Wolin, who analyzed the prior 30 years of advertising to assess the performance of gender-based advertising. It established some clear differences between men and women, evidence that should be considered when creating your marketing campaigns in the future, especially if you wish to appeal to one gender over another. But before going into the differences in how we should target men and women differently, it is important to understand what the differences are physically, and how it affects our buying decisions. When it comes to stress, Men’s brains are built with an off switch, but also in general, sometimes we just like to use that off switch and do nothing. In contrast, women find it very difficult to switch off in stressful situations, but rather they can’t rest until the situation causing stress is analyzed from every angle. They speak with friends and loved ones to build a consensus about the best course of action to take. If the stressful condition is prolonged in duration (a problem that can’t easily be resolved) stress leads to higher Estrogen levels which tend to lead to anxiety and depression in women (and stress for men when in a relationship – unable to switch off). This brings us to the next major difference. Women have 2 areas of the brain dedicated to verbal communication. These are located behind and above each ear, whereas men just have one small area. This is perhaps why men speak on average just 7000 words a day whereas women tend to speak around 20,000 words a day. Women share – verbally, and tend to be great product evangelists as a result. Women’s memories tend to be built around emotion, while this can also be true for men, this is only to a lesser extent than women. Men’s memories are procedural, created based on the need to do things efficiently and to overcome problems encountered. This is why men’s brains are often considered as built for problem-solving, focusing on the task at hand and why they are often considered as being terrible at multitasking and remembering special events, – unlike men, women are typically good at remembering events (speaking as a man, this is not an excuse, just a fact). Before looking at how these physiological differences result in different decision-making processes, let’s look at the commonalities between the sexes, (what is true for both Men and Women) that define how we make decisions. Sales and the Human Brain (Male + Female commonalities). At school, we are taught to use our left brain functions (diagram below), this area of the brain is for analysis, logic, and organization, – all essential skills to master and be successful in life and business. Unfortunately or fortunately – depending on how you look at it, our ability to make decisions (including purchasing decisions) is based on the other side of the brain (right side) where functions of visualization, experimentation, and communication (among many others) are governed, these collectively form the basis of emotion. Yes, that’s right, your decision on buying is mostly about intuition and your emotions and feeling about the product in question. Images can convey emotion very effectively, the below is an example of a very successful popup onsite retargeting campaign on the Guilty Soles website using a popup from OptiMonk.com. What emotions does it convey to you? 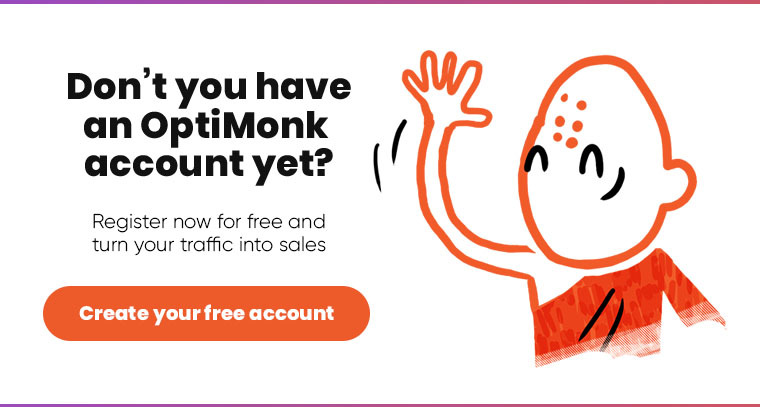 OptiMonk.com Onsite Retargeting Campaign popup by GuiltySoles. In face to face sales, people skills and verbal ability are essential, necessary to communicate emotion and thereby influence emotion. How this translates to the online world is communication through imagery, such as the image above, however, there is only so much emotion you can get from a static image, therefore to get even higher conversion rates, audio or video recordings can be very effective – personalized sales messages that convey emotion, imagination, and empathy. It is the emotions behind the purchasing decision that must be emphasized and influenced in order to be successful in either lead generation or ecommerce conversion rate optimization. Consider, that the motivation and emotion that leads to a buying decision is often different between men and women. You need to consider both sides of the couple when trying to sell to either one. This is why it’s necessary to survey both your Male and Female customers to determine their motivations for buying a product. This information will enable you to better target other visitors to your website, to create a buyer journey that is emotionally convincing for every visitor segment. Provide solutions to problems via the products stocked – content addressing the “Pain Points”. Beyond these differences, is the emotional need that the product in question inspires/fulfills is all important. For example, the reason a man and woman (couple) want to buy a car might be very different. The man might think, “it will help to get me to work and back home without the inconvenience of unreliable public transportation” (selfish reason), whereas the woman is thinking, “This will help us to spend more time together and do things on the weekend”. Clearly, both messages need to be communicated if the product is for both parties, the problem here is that these motivations inspire different emotions which any marketing campaign must accommodate and communicate to be successful. Certain things tend to engender a strong emotional response, of course not everyone is built the same way, so we don’t all feel the same way, but the following examples show a tendency to influence everyone. The question here is what emotions are your customers feeling throughout the buying journey, until the point of purchase? How can you elicit the right emotions from your potential customers during the customer journey? What content, pictures, colors, and messages should you convey at each and every stage of the buying journey? The answer to this question is another question, a question that gets to the heart of the matter. Simply by asking a visitor/customer about what matters to them about the product, you are gaining a way to sell to others. There is no better way to elicit the right mix of emotion unique to the individual than to get them to talk about the product of interest, – their needs in order to understand how they will benefit from the product. For others, just by listening to their story, it automatically triggers the right emotional mix, one that is conducive to buying. Sharing customer interviews is one of the best CRO strategies available. To men, your messages must be concise and to the point and use power words, prove what you say with facts. Provide solutions to problems utilizing the products you are selling. Men tend not to buy into products that are also targeted at women. This is little to do with the differences between the sexes but rather an effect of gender stereotypes, unfortunately, men are influenced by a long history of female discrimination. When selling to a female audience your messages should tend towards being descriptive, use disclaimers and offer softer words and most importantly your message must end in such a way that it gives the feeling that you understand them and that you will support them. Always provide women the ability to connect and converse in order to make a same day sale. Utilize Facebook for Business or some other messaging solution to engage female visitors in real time. While it does not make sense to exclude women by design when creating a campaign for a male-only product, it does make sense to not openly target women for that same product. This is because Men tend not to buy into products that are also targeted at women. This is little to do with the differences between the sexes but rather an effect of gender stereotypes, men influenced by a long history of female discrimination. Women assimilate more information from an advertisement than men but require far more exposure to the advertising to be convinced by it. (Suggesting men are more suggestible, – easy to convince relative to women). Whether a man or women is selling the product (product video or audio) seems to be less relevant to the decision-making process to women than for men. Your goal as an ecommerce provider is to elicit the relevant emotion behind your customers’ motivation to buy, regardless of gender in order to maximize your conversion rate. This can be achieved through emotion-eliciting messages, triggered at precisely the right moment within the customer journey. Use images and videos to convey an emotional message in a sequence that together compiles an emotional story. This story must appeal to the emotion behind the buyers’ motivation, – the answer to the question “what do you think the benefit of this product for you?”. This emotional story must convert at every stage of the customer journey, small items that should be a free or low-cost option but require more investment, the further along the journey they travel, these micro-conversions are designed to build trust at every stage and can be delivered through OptiMonk.com.